Hey, y’all, I, here today to talk about my friend Jordan. I can't think of too many other things I'd rather be doing –except maybe cooking and flirting with a really good-looking man. But that's neither here nor there. I guess I should start by introducing myself. My name is Rosie LaRue, and I live in the Empire Apartments with Jordan McAllister and a whole bunch of quirky friends. 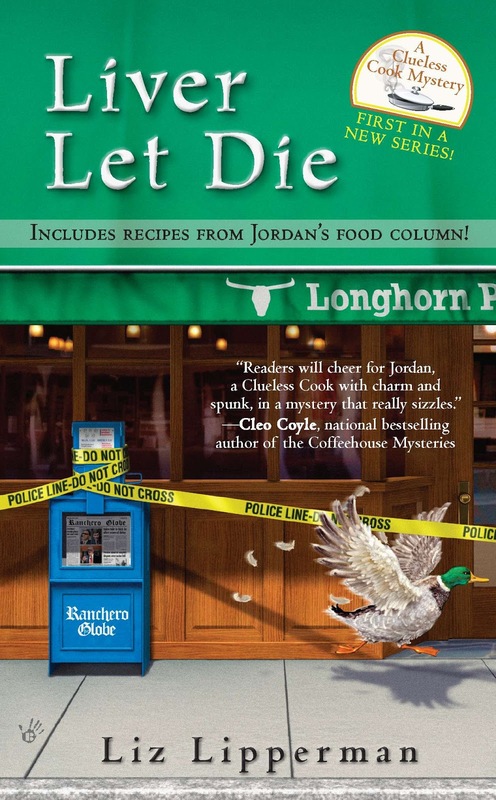 Most of you know Jordan, but for those who haven't read the Clueless Cook Series, let me tell you about her. She's tall, has curly red hair that has a mind of its own, and she can throw a touchdown pass better than anyone I know who is making money doing it in the NFL. She loves all sports—was once the sports reporter at the University of Texas with her ex. All the girl ever wanted to do was see her byline in the sports section. Unfortunately, after following her boyfriend to Texas where he got HER dream job, she ended up in the small town of Ranchero, Texas, after he dumped her for a shapely weather girl who probably doesn't know a punt from a kickoff. I'm Jordan's best girlfriend even though I'm 25 years older than her. At the Empire apartments where the entire gang lives, I’m referred to as the femme fatale because when I see a good-looking hombre I go after him— and usually get him. Trouble is, I always end up marrying him in the process. Not counting Mitch, whom I married twice after catching the redeye to Vegas following a night of tequila shooters, I’ve had four husbands so far. Sheesh! Anyway, back to my story. Did I mention that the only job at the Ranchero Globe was writing the personals when Jordan came to town? But she lucked out when the culinary reporter had a jet skiing accident and ended up in rehab, and she jumped at the offer to fill in temporarily. Bet you're thinking the girl must really be a bang-up cook to get the position? You would be wrong. The editor must have been desperate, and Jordan's journalism credentials probably enticed him to offer her the position. He had no idea the girl was clueless in the kitchen—or that it's my casserole recipes that she uses in her column every week after the gang slaps on a fancy name for them. And you know what's funny? The good people of Ranchero love both her and the recipes. Apparently, they think the Budine de papitos con Pollo is some fancy gourmet dish when it's actually my Potato Chip Chicken recipe. But I digress. If I’m really being honest about my friend, I’d have to say that somehow Jordan always manages to get herself into trouble—and usually the gang is right there in the middle of it with her. In LIVER LET DIE, she tangled with a diamond smuggler and an angry quarterback. In BEEF STOLEN-OFF, she goes head to head with a modern-day cattle rustling ring and nearly gets herself killed. 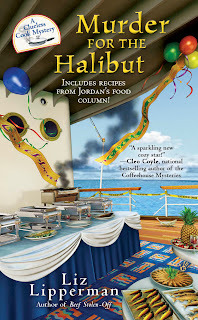 And her latest adventure, MURDER FOR THE HALIBUT put us both on the Carnation Queen Cruise ship where Jordan was hired to judge a culinary contest. That should make you laugh right away as Jordan is to fancy food what little kids are to broccoli. It just ain't happening!! Even before the contest gets underway, an arrogant Italian chef falls face first into his signature halibut dish and everyone assumes it's an accident. Everyone, except Jordan, of course. Don't even get me started on what kind of trouble she and I got into. Hey, guys, this is Liz talking now. I wanted to tell everyone that this is my last post with Killer Characters. 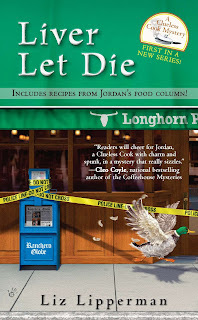 Although there will be at least one and maybe two more Jordan McAllister adventures, I am concentrating on mainstream mysteries and Romantic Suspense. Since this is a cozy readers blog, I am sad to be saying goodbye, but I hope to be invited back as a guest blogger. I will miss all the wonderful authors as well as the great readers who support us. Hope to meet up with you all again. Love your book titles. Best ever. So sorry to see you go. Best of luck. Liz: I have read Jordan's first two adventures and the Halibut is next. Sorry to see you go but I look forward to your new works... 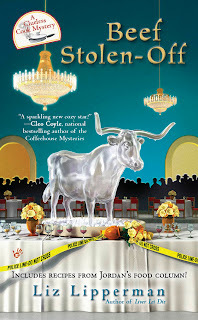 I love romantic suspense! @shsado - Thanks, Teri. And blogging is a great verb. @Duffy - Thanks, Duffy. Hope to connect with y9ou at Malice again. @Mary Louise - Hey, ML, I love that you already know my characters. I have a new series coming out with Midnight Ink (supposed to be May 8th, but I'm told Amazon has already shipped the books for preorders (HEARD IT THROUGH THE GRAPEVINE.) And I have a new romantic thriller just out getting great reviews (SHATTERED) And here's the best part, my romantic mystery MORTAL DECEPTION is on sale right now for $1.99 digital. Oh, God, I am so ashamed of that overt plug!! I am sorry to see you leave this blog Liz, as I do enjoy your posts, and still have to start reading the books. Good luck with all your other projects! @Liz--I received my copy of "heard it through the Grapevine" last week but with everything happening in my life..I forgot about it! sorry! I am going to be starting it this weekend. and I loved the Jordan books and Mortal Deception.